12th December – Closed for Christmas? Improving efficiency, workers that are given time off over Christmas will return to work feeling refreshed and productive. Employees with children will appreciate having this time off as it coincides with children’s school holidays. Depending on the sector this can be economically beneficial for the business, generally there are less customers than any other time of the year and therefore revenue will decrease and if the business continues trading overhead costs will need to be covered. If it is within an employee’s contract that they must take Christmas shut down as annual leave, new employees that may not have accrued enough holiday, may have to take unpaid leave. 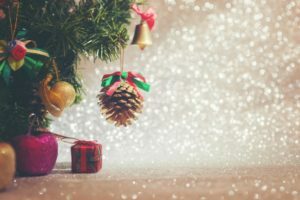 Employees from different cultural backgrounds may not celebrate Christmas and this may cause upset that they are having to use annual leave for this period. Employees may be saving their holiday accrual for different times of the year. As an employer you are able to ‘force’ employees to take annual leave during the festive shut down period, however it must state so in their employment contract. Communicate with your employees as early as possible in the year, so they know they must reserve holidays for your annual shut down, if this is the case. This will avoid complaints.